After successfully leading Vanderbilt University Medical Center’s Section of Surgical Sciences and serving as the Medical Center’s Surgeon-in-Chief since 2001, R. Daniel Beauchamp, MD, the John Clinton Foshee Distinguished Professor of Surgery, is stepping down. Beauchamp will be succeeded in this role by Seth Karp, MD, H. William Scott Jr. Professor and chair of the Department of Surgery and director of the Vanderbilt Transplant Center. The section’s leadership change will occur July 1 as Karp assumes his new role and Beauchamp transitions to the newly created position of Vice President for Cancer Center Network Affairs, where he will work with leaders of VUMC’s Health System and the Vanderbilt-Ingram Cancer Center (VICC) to expand off-campus cancer programs. The Section of Surgical Sciences is currently comprised of the Departments of Cardiac Surgery, Neurological Surgery, Oral and Maxillofacial Surgery, Pediatric Surgery, Plastic Surgery, Thoracic Surgery, Surgery (and its divisions) and Urologic Surgery. Beginning July 1, Urologic Surgery will become a separate freestanding department. “We are the fortunate beneficiaries of Dr. Beauchamp’s enormous contributions after nearly two decades as section chair. There are too many accomplishments to list. Under Dan’s leadership the number of faculty has nearly tripled at the same time the strength and depth of each of the Section’s departments has also increased exponentially,” said Jeff Balser, MD, PhD, President and Chief Executive Officer of VUMC and Dean of Vanderbilt University School of Medicine. “Dan has worked tirelessly to recruit strong leaders, advance the section’s research and training programs and increase faculty diversity, and has done all this while our surgical departments continue on an upward trajectory, providing world-class care for increasing numbers of patients each year. He has built an incredibly strong foundation for Dr. Karp to carry forward. “I want to express my gratitude to Dan for the lasting impact of his leadership and welcome him into this important new role. His efforts will be instrumental as we seek to fulfill our mission to provide the latest therapies for more adult and pediatric cancer patients from across the region,” Balser said. Under Beauchamp, who is also professor of Cell and Developmental Biology, the section has strengthened its national reputation for innovation and advancing surgical care. During his tenure as chair Beauchamp pushed the section into the Top 10 in funding from the National Institutes of Health. While addressing increasing volumes of surgical cases and ambulatory visits, the section fulfills an important mission for Tennessee and its surrounding region by training new surgeons. Currently, there are approximately 180 resident and fellows training in 18 surgical specialties. Through an important commitment to employ and train surgeons who reflect the population served by VUMC, women now represent 53 percent of the section’s trainees, while more than 30 percent of all trainees are either African-American, Hispanic, Native American, South Asian or East Asian. Under Beauchamp’s leadership the number of female surgical faculty has more than doubled and minorities comprise nearly 20 percent of all section faculty. The section also supports a global approach to philanthropic patient care and education through programs in other nations such as establishing and maintaining the first U.S. accredited international general surgery program at AIC Hospital in Kijabe, Kenya, along with other mission-based initiatives in Peru, Sri Lanka, Uganda and Tanzania/Zanzibar. “I am very fortunate to have had the opportunity to serve in this important leadership role for VUMC for the past 17 years,” Beauchamp said. “This is a special place and has a unique culture of collegiality and collaboration that attracts such wonderful faculty and staff members. Working with such talented and engaged people and continuously learning from them is what has made this job such a great pleasure. The clinical chair group shares a special bond of friendship that does not exist in many other institutions, and I will miss our frequent interactions,” Beauchamp said. “I wish to convey my sincere thanks and appreciation for the steady leadership and continuous support from Dr. Balser, Dr. Pinson and other leaders in VUMC who have enabled the growth and success of the Section of Surgical Sciences. I also thank them for providing me with this opportunity to serve VUMC in a different and exciting way as Vice President for Cancer Center Network Affairs. The Section of Surgical Sciences is in a good place with strong leadership across all of its departments, and it will be in good hands under the leadership of Dr. Karp. I look forward to what the future will bring,” Beauchamp said. Having joined VUMC in 2011 as director of the Vanderbilt Transplant Center, Karp is already familiar to many across the Medical Center. Under his leadership the Transplant Center continues its remarkable trajectory of advancing clinical care and achieving outstanding surgical outcomes for solid organ transplant recipients that exceed national benchmarks. In 2017 the Transplant Center surpassed two indelible milestones, having performed its 1,000th heart transplant and 2,000th liver transplant. 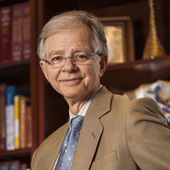 In 2015, Karp was named chair of the Department of Surgery, which includes the Divisions of General Surgery, Hepatobiliary Surgery & Liver Transplantation, Surgical Oncology & Endocrine Surgery, Kidney & Pancreas Transplantation, Trauma and Surgical Critical Care including Burn Surgery, and Vascular Surgery. These programs house more than 90 full-time faculty, nearly 100 residents and fellows and more than 40 staff. In his new role as section chair, Karp will participate in increasing administrative activities that support the Medical Center’s broad programmatic initiatives. He will also serve as the leader for the section’s many academic programs across the School of Medicine. “Seth is a proven leader who has articulated thoughtful goals and an exciting vision for the Section’s future. He is an outstanding physician, educator and scientist, and is the right individual to assume the broad and complex responsibilities associated with serving as section chair. I am confident he will carry forward Dan’s tradition of collaboration in the pursuit of excellence and innovation,” Balser said. As section chair Karp will also work closely with Pinson and others in leadership roles in the health system, including clinical department chairs and the chief executive officers of Vanderbilt University Adult Hospital and Monroe Carell Jr. Children’s Hospital at Vanderbilt. Karp is active in transplantation and has held leadership positions in the American Society of Transplant Surgeons, including chairing the Organizing Committee for the American Transplant Congress, a meeting of more than 5,000 transplant professionals. He was recently elected as Region 11 Associate Councilor, which includes a position on the UNOS Board of Directors beginning in 2019. He also serves as associate editor of the American Journal of Transplantation and serves on the editorial board of the Journal of Cellular and Molecular Gastroenterology and Hepatology. He remains active as an adult and pediatric liver transplant surgeon, and also maintains an active basic research lab and leads a number of clinical research projects. Karp graduated from Harvard College, where he earned a bachelor’s degree in physics and astrophysics and a master’s in astrophysics. He earned his medical degree from Harvard Medical School as part of a combined program between Harvard and the Massachusetts Institute of Technology’s Division of Health Sciences and Technology. He underwent residency training in Surgery at Brigham and Women’s Hospital in Boston, where he served as a postdoctoral fellow and chief resident. After completing his residency, Karp served a fellowship in transplantation at Johns Hopkins Hospital in Baltimore, where he was also an attending surgeon. 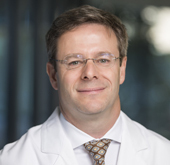 Prior to joining VUMC, Karp served as assistant professor of Surgery at Harvard Medical School, and as director of the Pancreas Transplant Program and Transplant Fellowship Training Program at Beth Israel Deaconess Medical Center in Boston. “This is a unique and exciting opportunity and I look forward to working more closely with Dr. Balser, Dr. Pinson and other members of the senior leadership team,” Karp said. “Under Dr. Beauchamp’s leadership, the Section of Surgical Sciences grew into one of the premier academic departments of surgery in the country. Clinical programs offer innovative therapies and deliver outstanding outcomes. Innovative research programs improve patient’s lives and receive high levels of funding from the National Institutes of Health and other sources. Education programs are highly sought after and produce the best-trained graduates. “Watching Dr. Beauchamp achieve this while promoting and ensuring a culture of respect has been extraordinary. In my new role I look forward to continuing the tradition of civility and excellence he established, and to working closely with him in his new role,” Karp said.